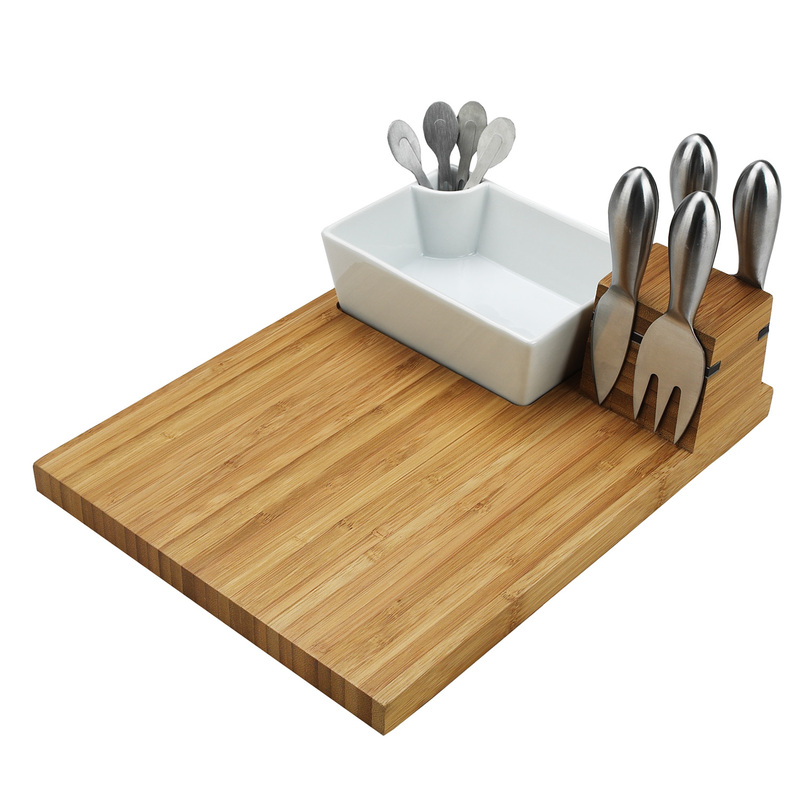 The Buxton bamboo cheese board set includes: Stainless steel serving tools, Cheese Knives (2), Cheese spreaders (1), Cheese fork (1), cocktail sticks (4) and removable ceramic dish with holder for the cocktail/olive sticks (1). Magnetic strip on board securely holds tools when not in use. The bowl fits into a recess milled into the board for stability. Clean with warm soapy water or damp cloth.